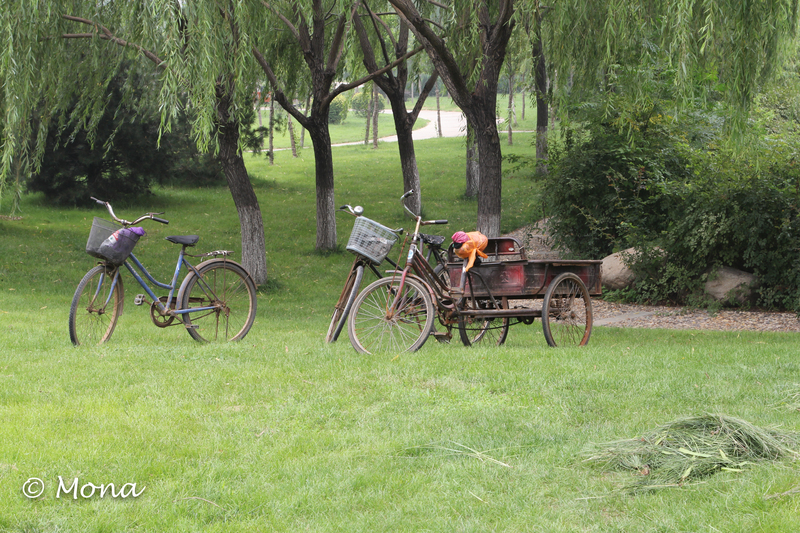 These bikes belong to the people who work in one of the parks in Feicheng. They seem alive to me … like animals waiting for their masters to return. 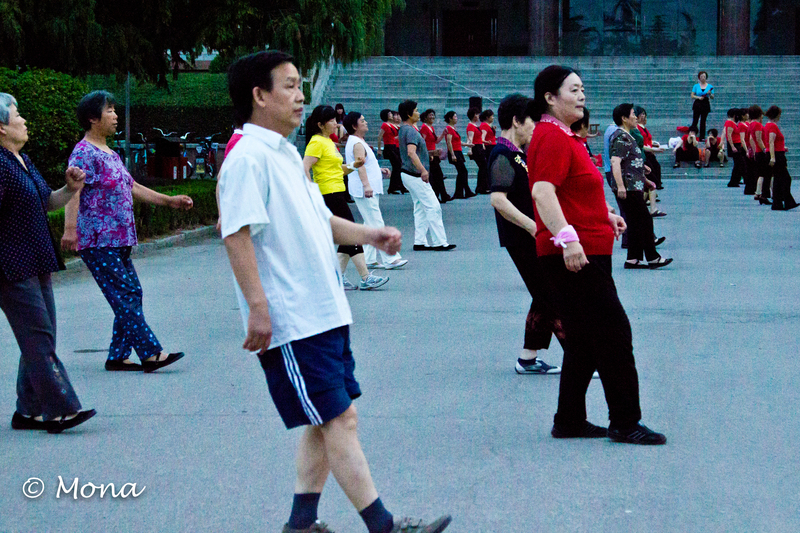 One of the best aspects of life in Feicheng, Shandong Province, China is the sense of community. 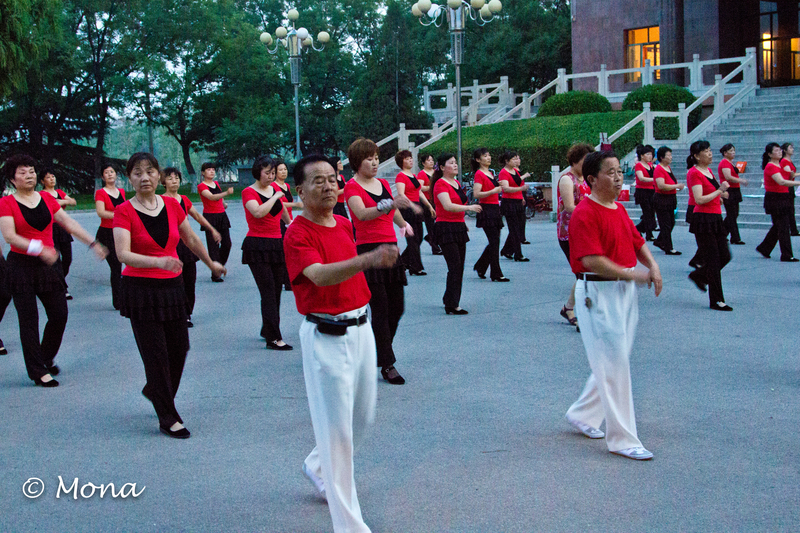 Although Feicheng has a population of nearly 1 million people, it has a small-town feel. After the evening meal, the people come outside. 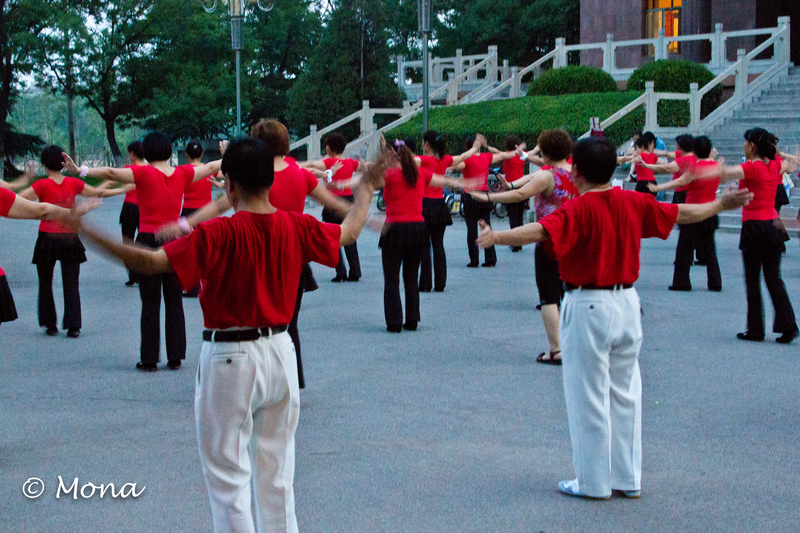 They walk, sit and chat, gather together for a type of exercise that appears to be is a slow moving line-dance, they buy and sell on the sides of the streets, they watch their children play or perform. They are doing a line dance. The dance is coordinated, fluid, and beautiful. I’ve seen such dancing all over the city. Here, it looks as if they are marching. No, they are dancing. I watched this man for a long time before I was able to capture his image. 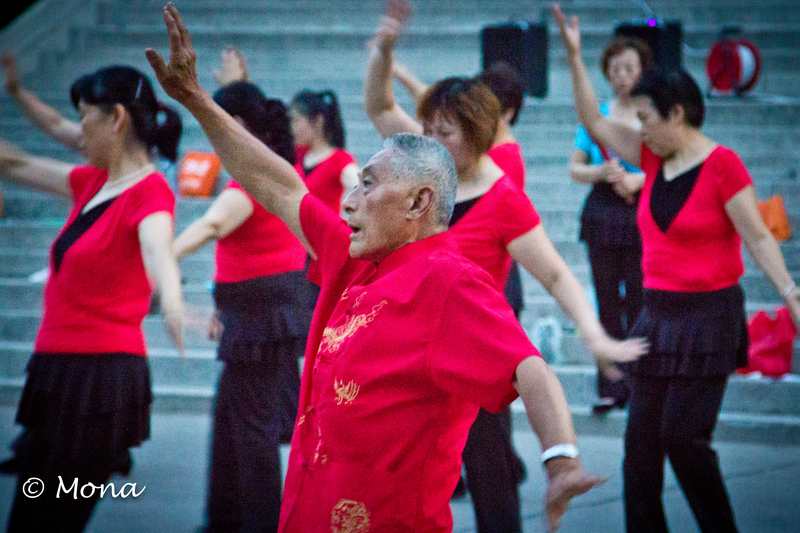 I like the concentration on his face and admire his willingness to get out there and dance. 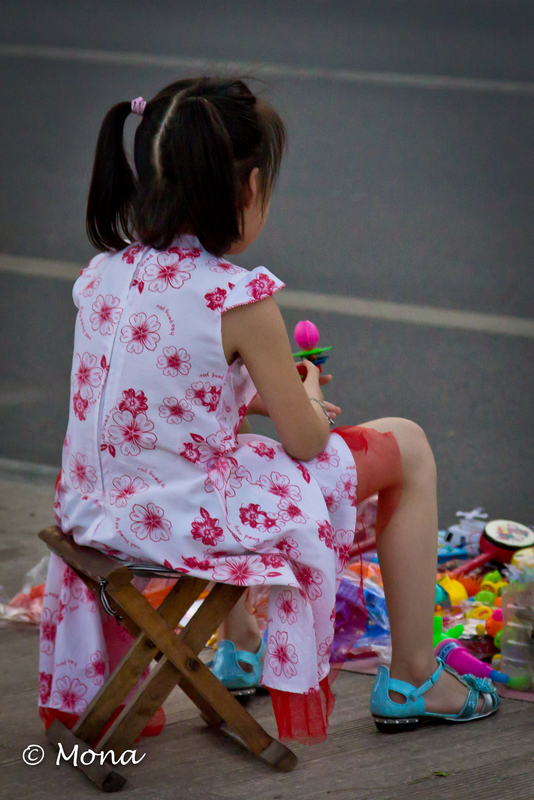 This little girl is working with her mother to sell on the street which is lined with vendors selling everything from shoes to batteries. 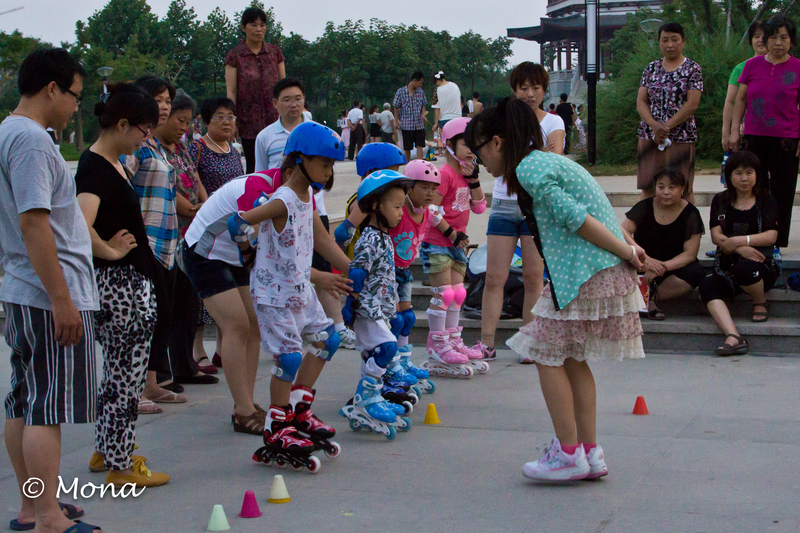 These little ones are learning how to roller blade while their parents look on. 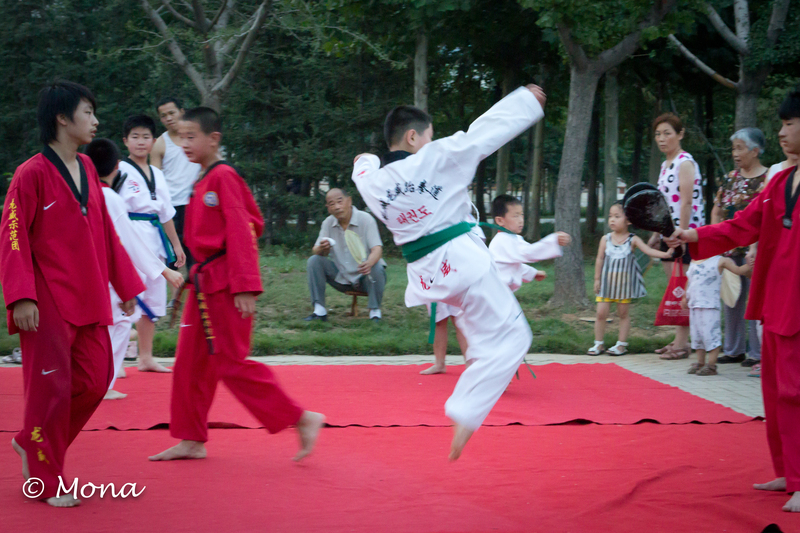 The young people put on a taekwondo demonstration. 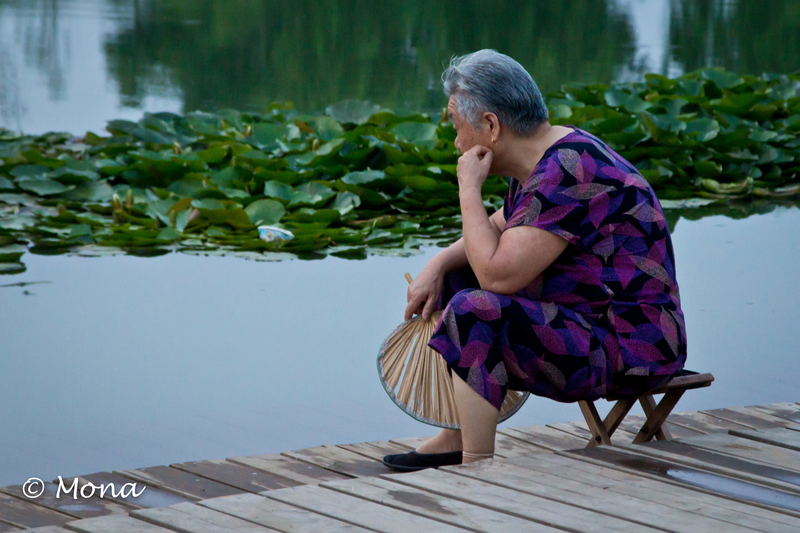 I frequently see the old people sitting quietly on their small folding stools.